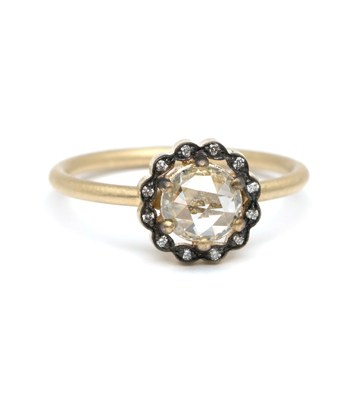 Vintage inspiration with a modern twist! 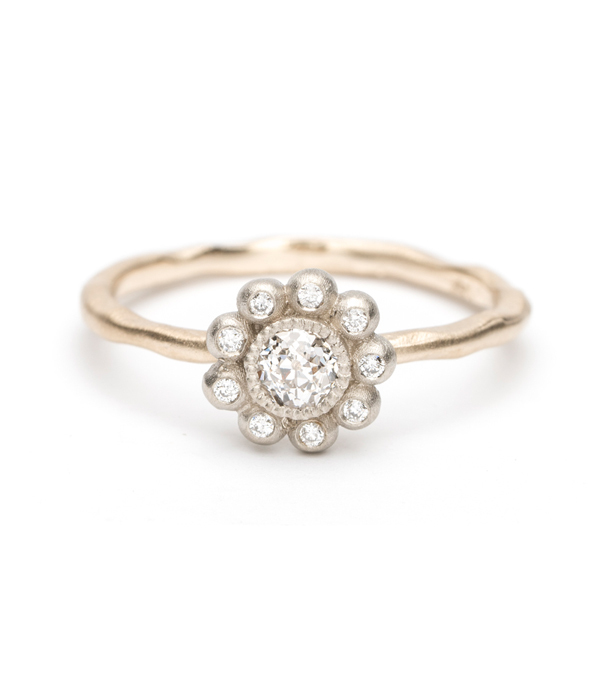 This two-tone ring features a 14K white gold bubbly flower set with an Old European Cut diamond center (0.18 ct) and framed with a row of tiny brilliant diamonds atop of a 14K yellow gold textured band. 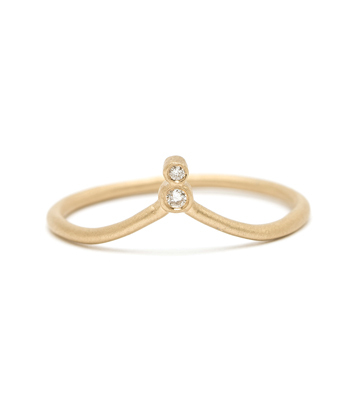 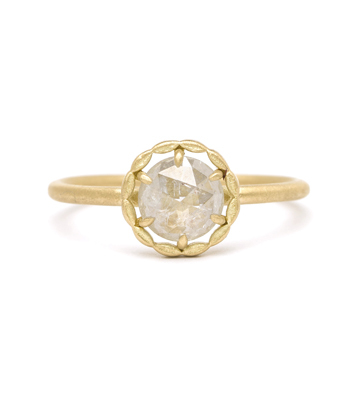 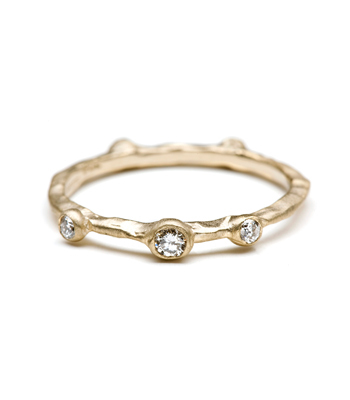 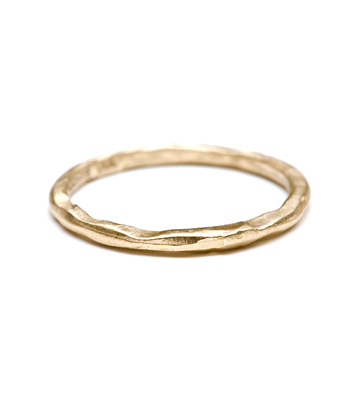 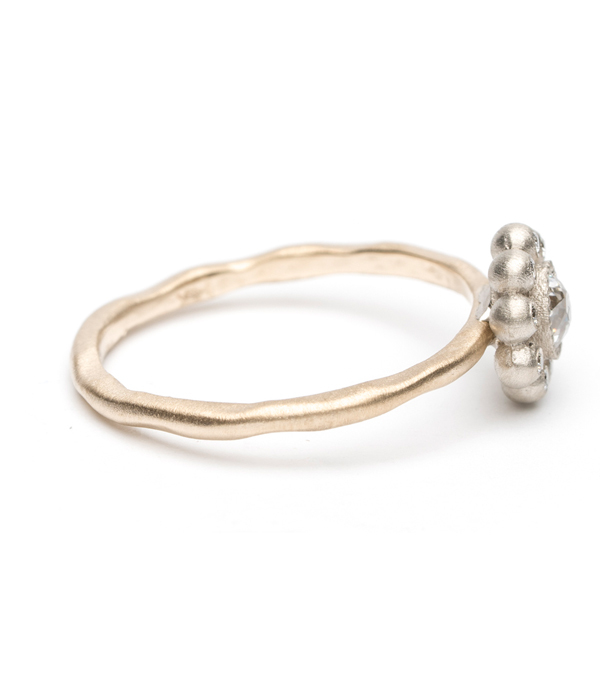 We think this ring looks adorable on its own or stacked with virtually any ring! 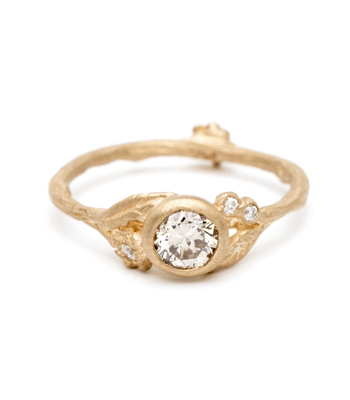 Categories: Bohemian Elegance, Regency, Rings, Stacking Rings, Vintage Dreamer.